So sorry that you have to suffer from this disease. I truly feel your pain and hope that you will find healing by staying positive. Try to redirect your pain in something that you enjoy doing? I have suffered all my life with nerve pain from a bad accident and have gotten increase pain in my leg joints. It is hard to get up on some days but I look for the part of the body that feels no pain and thank god that I can feel some relief on the side of my body thats good. I can only say Good Luck and God Bless. I wish we could take some kind of magical pill that could get the pain away. I will also pray for you. This was a great article to read, I also have dystonia, cervical, segmental, along with facial dystonias. I am starting to believe I am suffering from this… it takes a lot of you, that’s for sure. I’m meeting with neurologist Tuesday, can’t wait to see what ahe thinks. Dear Ashley, Blessings and hugs to you! Please make sure to get an MRI of your jaw and maybe see someone who can diagnose IF you have aT MJ or cranial issue. 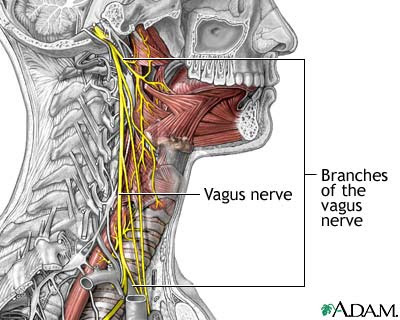 I’m learning so much about the cranial bones, the nerves of the face, etc. Don’t just settle for drugs, Find the solution. That’s what my husband and I do in our unique, specific body challenges, research natural healing and good holistic practitioners. Blessings to you and continue seeking truth and healing!